#stampinup #faithfulinkspirations #FF0004 I don't normally make Easter cards, but my twins are in college and I figured they'd enjoy a card from home--as long as there is some Easter candy, too! Consequently, I don't have any Easter stamp sets. But I was able to make do with a couple of sets that I do own and I think my cards turned out right cute. The little bunny in the "A Good Day" stamp set is so adorable and he's the perfect little Easter bunny for these two matchy-matchy cards, don't you think? I sometimes struggle with tiny images, but I think this design is extra cute. I started by stamping the bunny in Memento Tuxedo Black Ink onto a Thick Whisper White scrap. I colored the bunny with Light Crumb Cake and Light Pink Pirouette Stampin' Blends. I gave one bunny a Light Rich Razzleberry Stampin' Blend bow and the other bunny a Light Bermuda Bay bow. 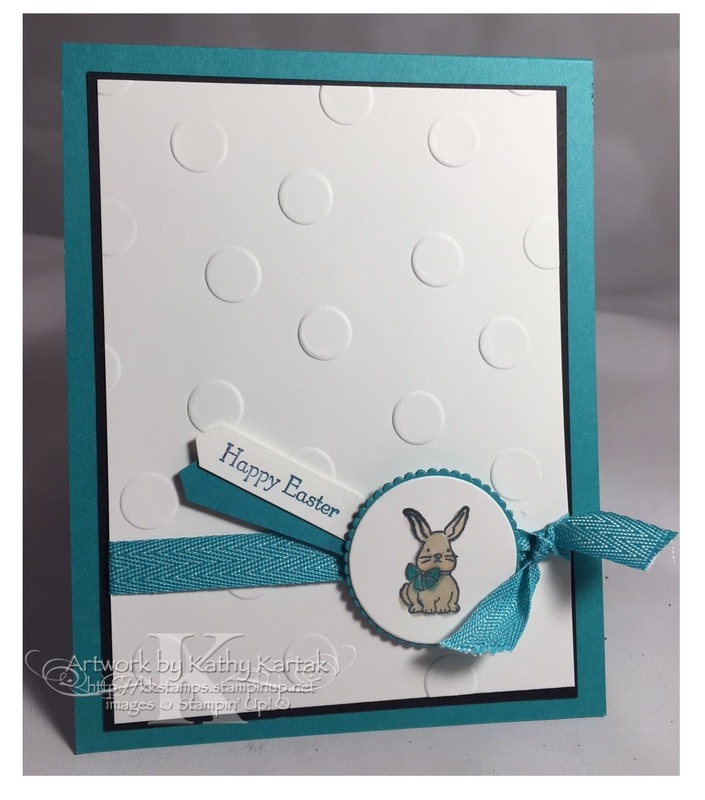 I cut the bunnies out with one of the Layering Circles Framelits and adhered them to a matching Rich Razzleberry or Bermuda Bay Card Stock scalloped circle mat that I also cut with one of the Layering Circles Framelits. Next, I embossed a 3-3/4" by 5" Whisper White Card Stock panel with the Polka Dot Basics Embossing Folder and adhered it to a 3-7/8" by 5-1/8" Basic Black Card stock mat. Then I wrapped a length of either Bermuda Bay Mini Chevron Ribbon or Berry Burst Metallic Edge Ribbon before adhering this to a Bermuda Bay or Berry Burst Card Stock card base. I stamped the "Happy Easter" sentiment from the "Teeny Tiny Wishes" stamp set in the matching ink color onto a Whisper White scrap and punched it out with the Classic Label Punch. I punched another label in either Bermuda Bay or Berry Burst. 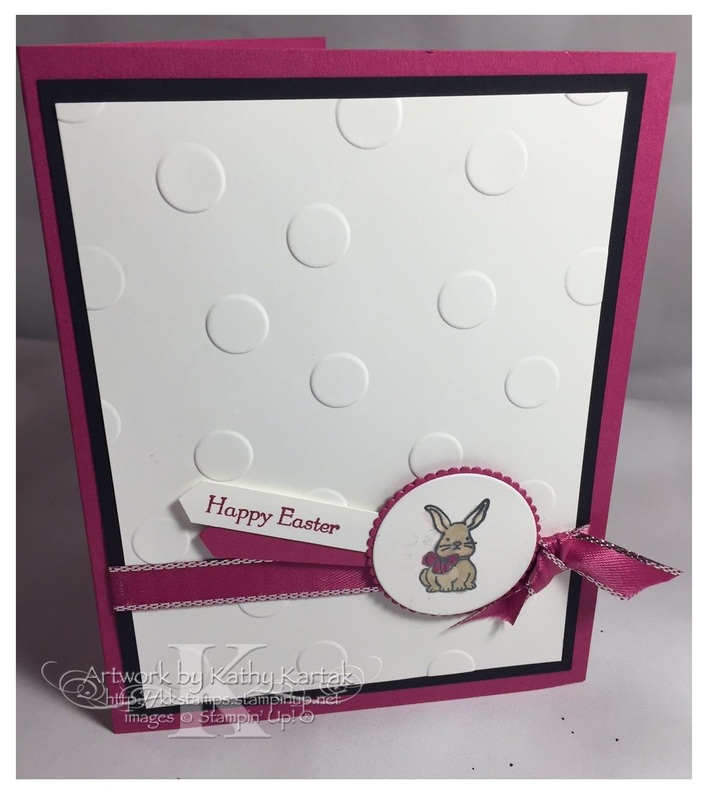 I adhered the labels and bunny elements to the card with Stampin' Dimensionals. 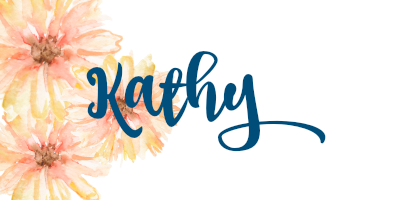 Even without having"traditional" Easter stamps, I was able to pull off some cute Easter cards--and I could play along in the Festive Friday challenge!